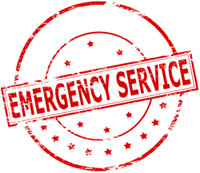 Need a reliable emergency plumber? Need a reliable plumber who offers free estimates and emergency service after hours? Call Michael P. Conolly Plumbing and Heating of Broomall. We serve all of Delaware County, Main Line, Montgomery County and Chester County areas. Most people don’t give drain and pipe cleaning a second thought until there is an issue. A leaking pipe, a frozen or burst pipe or a subtle water stain on a ceiling over head. Leaking pipes, a loose drain connection or a burst pipe can cause big damage. If you notice a drip or a leak, give us a call. No job too small! It’s better to be proactive. Everyone loves the convenience of a garbage disposal, but they may be a little tricky to install. Installing that new garbage disposal is best left to a licensed plumber, especially when it ties in to the dishwasher. The same goes for a major blockage. Avoid putting anything “stringy” down the drain which can tangle up in the gears…corn silk, asparagus, celery etc. If a clog occurs and it can’t be resolved with a turn of the allan wrench, stop and call a plumber. If you are interested in a whole-house water treatment system or water softening system, ask us for a recommendation. We sell, service and install water treatment systems. If you don’t see the type of work you are interested in, please contact us. Chances are what you want is well within our skill set!